I have never considered myself a huge skincare buff. My routine is pretty simple for the most part, and it doesn't require multiple steps or products. A moisturizer with SPF, an eye cream, and a facial cleanser is sufficient enough for me. Or so I thought. I noticed that my skin hasn't been looking it's best lately, and it was pretty apparent that it needed a little more love and care. My simple skincare regimen just wasn't cutting it anymore. I have been incorporating a couple of new products into my routine that are making a positive impact in the look and feel of my skin. 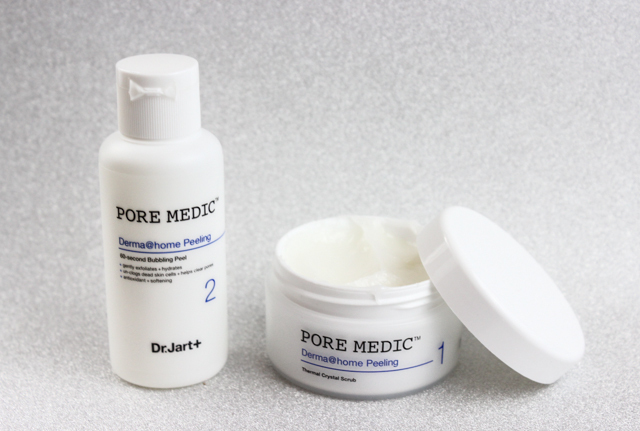 Two of them being Dr. Jart+'s Pore Medic™ Minish Cleansing Bubble and the Pore Medic™ Derma @ Home Peeling Kit. Dr. Jart+'s Pore Medic™ collection features a lineup of products that help with the diminishing of pores, the reduction of sebum production, and the minimized appearance of fine lines and wrinkles. 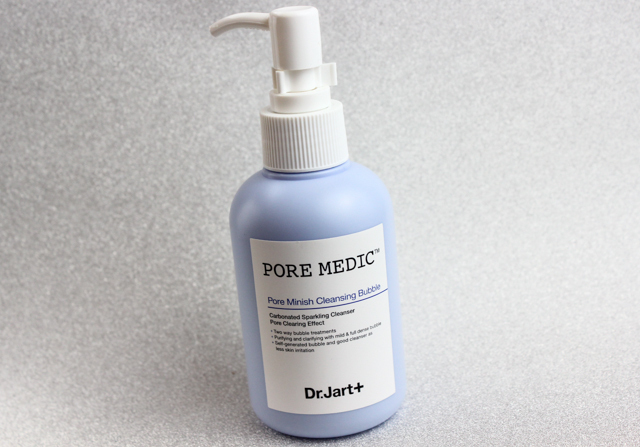 Pore Medic™ Pore Minish Cleansing Bubble: This cleanser contains ingredients like Dynalift which tightens pores and smooths fine lines, and Evermat to help reduce sebum production and decrease shine. This cleanser is free of parabens and sodium laurel sulfate. I absolutely love this cleanser. It produces a light bubbly foam that thoroughly cleanses my skin, without being drying or irritating. After use, my skin is soft, brighter, my pores are less visible, and my t-zone is not as oily. 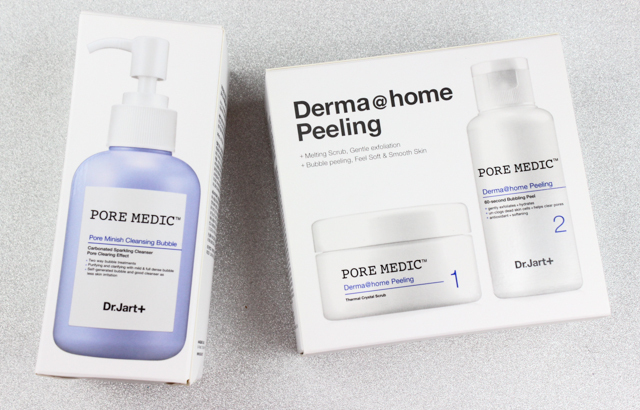 Pore Medic™ Derma @ Home Peeling Kit: This two-step kit is infused with skin-loving ingredients like Lactic Acid (AHA) which provides moisture, Salicylic Acid which removes dead skin cells, and Vitamin E to soften the skin. This is also free of parabens, alcohol, sulfates, mineral oil, artificial colors and fragrances, and formaldehydes. I must say, I have never used a product like this before. I first apply the thermal crystal scrub (step 1) which imparts a warming sensation on the skin. The beads in the scrub are very gentle, and they do an awesome job at removing the dead skin cells on the surface of my skin. After massaging the thermal crystal scrub onto the skin, I then apply the 60-second bubble peel (step 2) over it, and massage again. While doing so, a creamy foam immediately forms. It's super cool. Once I rinse everything off, my skin is so much smoother and brighter looking. I love it! I use this peeling kit 2 times a week. Which products do you reach for when you want your skin looking it's best?